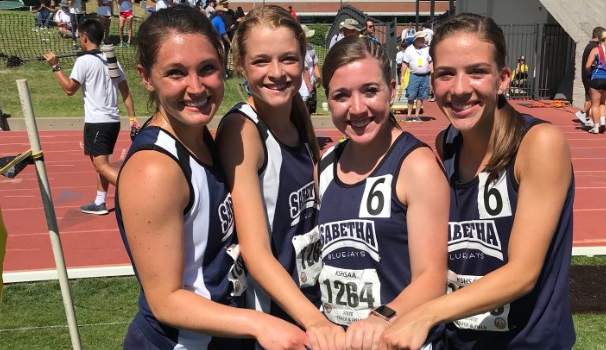 The Rainbow Communications Athlete(s) of the Month from the Northeast Kansas coverage area is the Sabetha High School girls 4x800 meter relay team. The team of Hattie Lukert, Hunter Lowdermilk, Nicole Kuenzi and Skylar McAfee won gold in 9:56.03. Lowdermilk and McAfee are juniors while Kuenzi is a sophompore and Lukert is a freshman. The relay team won by just 15/100s of a second over second place Cimarron in an incredible finish. Sabetha completed quite the sports year for teams as the boys won 3A state football, 3A state golf and 3A state baseball this spring. Rainbow Communications would like to congratulate Sabetha on an outstanding sports year.